The Preamble and Declaration (see Book of Common Prayer, pp 776-777), which could be described as the constitutionally foundation document of the Church of Ireland, says that the Church of Ireland shall ‘shall continue to profess the faith of Christ as professed by the Primitive Church.’ This is normally understood within the context of Article 8 in the 39 Articles, which says there are three creeds, the ‘Nicene Creed, Athanasius’ Creed and that which is commonly called the Apostles’ Creed' that ‘ought thoroughly to be received and believed: for they may be proved by most certain warrants of holy Scriptures’ (see the Book of Common Prayer, p 780). The Apostles’ Creed is not found in the New Testament, nor was it ever approved by any Council of the Church. Although Anglicans have traditionally counted as one of the ‘Ecumenical Creeds,’ alongside the Nicene Creed and the Athanasian Creed, it has never been approved for use in the Eastern Orthodox Church. So, this evening we may ask what is the standing of the Apostles’ Creed, what are its origins, how do we use it, how does it differ from the Nicene Creed, and what are its strengths and its weaknesses. The Apostles’ Creed (Symbolum Apostolorum or Symbolum Apostolicum), sometimes referred to as the Apostolic Creed or the Symbol of the Apostles, is an early statement of Christian belief – a creed or ‘symbol’ of the faith. It is widely used in a number of Christian traditions for both liturgical and catechetical purposes, particularly in Roman Catholic, Anglican and Lutheran churches, and in many Presbyterian and Methodist churches. The Apostles’ Creed is Trinitarian in structure with sections affirming belief in God the Father, Jesus Christ his Son and the Holy Spirit. The Apostles’ Creed is not found in the New Testament. Rather, it is based on the Christian theological understanding of the canonical gospels, the letters of the New Testament and to a lesser extent the Old Testament. It appears to be based on an old Roman creed known also as the Old Roman Symbol. 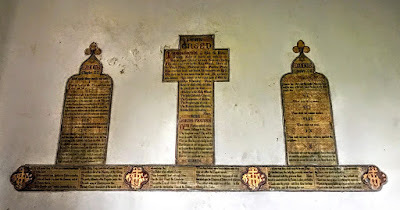 The word symbolum used on its own appears around the mid-third century in correspondence between Saint Cyprian and Saint Firmilia, with Saint Firmilia in particular speaking of the Creed as the ‘Symbol of the Trinity,’ and recognising it as an integral part of the rite of Baptism. However, what existed at that time was not what is now known as the Apostles’ Creed, but a shorter statement of belief that, for instance, did not include the phrase ‘maker of heaven and earth,’ a phrase that may have been inserted as late as the seventh century. The account of the origin of this creed, the forerunner and principal source of the Apostles’ Creed, as having been jointly created by the Apostles under the inspiration of the Holy Spirit, with each of the 12 contributing one of the articles, was already current at that time. The earlier text evolved from simpler texts based on Matthew 28: 19, part of the Great Commission, and it has been argued that this earlier text was already in written form by the late 2nd century (ca 180). The individual statements of belief that are included in the Apostles' Creed – even those not found in the Old Roman Symbol – are found in various writings by Irenaeus, Tertullian, Novatian, Marcellus, Rufinus, Ambrose, Augustine, Nicetas, and Eusebius Gallus. The earliest appearance of what we now know as the Apostles’ Creed is in the De singulis libris canonicis scarapsus (‘Excerpt from Individual Canonical Books’) of Saint Pirminius, written ca 710-714. Bettenson and Maunder state that it is first found in Dicta Abbatis Pirminii de singulis libris canonicis scarapsus, ca 750. This longer Creed seems to have arisen in what is now France and Spain. Charlemagne imposed it throughout his empire, and it was finally accepted in Rome, where the Old Roman Symbol or similar formulae had survived for centuries. It has been argued nonetheless that it dates from the second half of the fifth century, though no earlier. Some sources suggest that the Apostles’ Creed was redacted using phrases from the New Testament. For instance, the phrase descendit ad inferos (‘he descended into hell’) echoes Ephesians 4: 9, ‘κατέβη εἰς τὰ κατώτερα μέρη τῆς γῆς’ (‘he descended into the lower parts of the earth’). This phrase first appeared in one of the two versions of Rufinus in AD 390 and then did not appear again in any version of the creed until AD 650. The Orthodox Church does not use the Apostles’ Creed as it does not have the approval of a major ecumenical council of the Church. Πιστεύω εἰς θεòν πατέρα, παντοκράτορα, ποιητὴν οὐρανοῦ καὶ γῆς. ἄφεσιν ἁμαρτιῶν, σαρκὸς ἀνάστασιν, ζωὴν αἰώνιον. Ἀμήν. In the Church of Ireland, there are currently two authorised forms of the creed in the Book of Common Prayer (2004). One, found in Morning Prayer I and Evening prayer I (p 95), dates from the Book of Common Prayer (1662), the other, in Morning Prayer II and Evening Prayer II (p 112) is based on the ecumenical text produced by English Language Liturgical Consultation (ELLC) in 1988. A similar version is used at Compline (see p 159). The English Language Liturgical Consultation (ELLC) is an international ecumenical group whose primary purpose is to provide ecumenically accepted texts for use in English in the liturgy. It produced a translation of the Apostles’ Creed in 1988 that is distinguished, among other things, for avoiding the word ‘his’ in relation to God. The Apostles’ Creed is used in its direct form or in interrogative forms in many Churches in several liturgical rites, in particular at Baptism. The Apostles’ Creed, whose present form is similar to the baptismal creed used in Rome in the third and fourth centuries, actually developed from questions addressed to those seeking baptism. The Roman Catholic Church still uses an interrogative form of it in the Rite of Baptism (for both children and adults). Do you believe and trust in God the Holy Spirit? Another version of the Question and Answer format is available in a simpler, second form. This phrase and that referring to the communion of saints are found in the Apostles’ Creed, but not in the Old Roman Symbol nor in the Nicene Creed. On the other hand, because of the early origin of the original form of the Apostles’ Creed, it does not address some Christological issues defined in the Nicene and other creeds. It says nothing explicitly about the divinity of either Christ or the Holy Spirit. Nor does it address many other theological questions that became objects of dispute centuries later. No link is made between the incarnation and salvation, leading some, perhaps, to ask what was the purpose of the incarnation? There is no reference to Scripture, no mention of the prophets, no affirmation of the sacraments or discipleship, the kingdom of God, or a Christian lifestyle. There is no reference to Christ's teaching, miracles, the parables, or discussions with the Disciples, the Scribes and the Pharisees, no Sermon on the Mount, calming of the waters, Good Samaritan or Prodigal Son. There is only a one-line reference to the Holy Spirit. What is meant by the Holy Spirit? The Creed shows no adequate understanding of what the Church is or what the purpose of the Church is. Although this is used as a Baptism creed, there is no reference to Baptism. Why is Pontius Pilate named but none of the 12 Apostles and none of the Four Evangelists, Saint Paul or the prophets? If you were on a committee of 12 apostles to write the Apostles’ Creed, what would you write in? What would you have problems with? Why is there no reference to the two great commandments? Why is there no mention of priests and bishops or church structures? Did you notice there are no references to marriage, divorce or sexuality? Would you include social justice, women, political justice, violence, ecological and environment issues (or is that covered by ‘created heaven and earth’)? 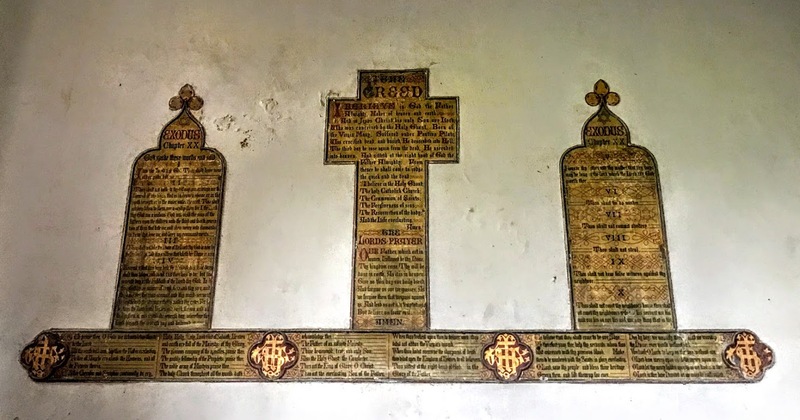 Next week (28 March 2019): The Nicene Creed.